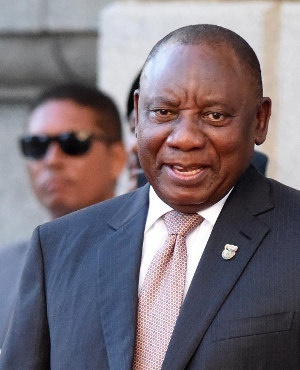 President Cyril Ramaphosa delivered an economic-focused State of the Nation Address in Parliament on Thursday evening. "To bring credibility to the turnaround and to position South Africa’s power sector for the future, we shall immediately embark on a process of establishing three separate entities – Generation, Transmission and Distribution – under Eskom Holdings." "Based on our experiences over the past year, and to build on the momentum achieved, we will host the South Africa Investment Conference again this year." "This could well be a game-changer for our country and will have significant consequences for our country’s energy security and the development of this industry." "Last year, a number of stakeholders raised their concerns about policy uncertainty and inconsistency. We have addressed these concerns and we continue to engage those stakeholders who raise concerns about our policy direction." "Where SOEs are not able to raise sufficient financing from banks, from capital markets, from development finance institutions or from the fiscus, we will need to explore other mechanisms, such as strategic equity partnerships or selling off non-strategic assets." "Our greatest challenge is to create jobs for the unemployed of today, while preparing workers for the jobs of tomorrow." "By applying the principle of social solidarity and cross-subsidisation, we aim to reduce inequality in access to health care."